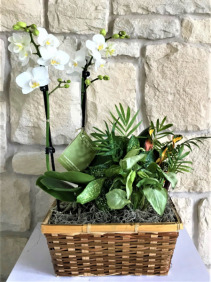 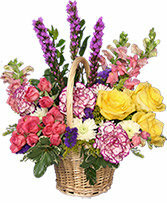 MIX OF GREEN PLANTS WITH A BLOOMING ORCHID BEAUTIFULLY ARRANGED IN A WICKER BASKET. 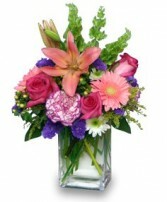 GREAT GIFT FOR ANY OCCASION. 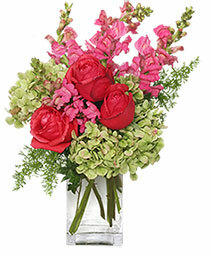 The colors of summer brighten this arrangement of snapdragons, carnations, roses, and 'Kermit' poms with assorted greens and filler in a cube vase. 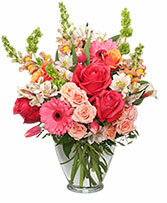 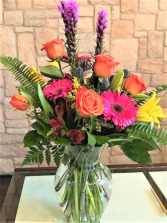 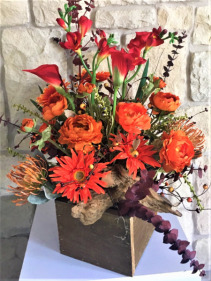 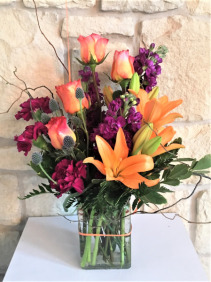 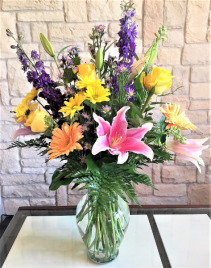 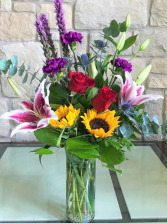 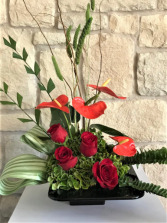 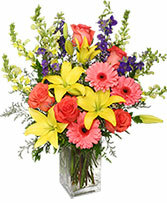 "Cherish Spring" is a "Budaful" bouquet of roses, snapdragons, gerbera daisies, alstromeria, spray roses, and tulips with assorted greens in a clear vase. 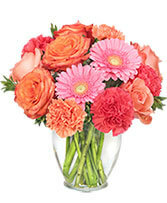 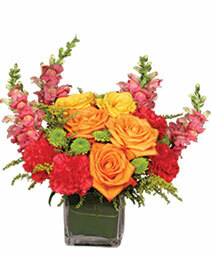 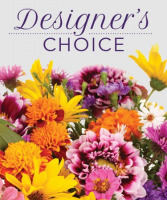 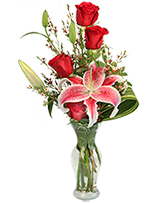 Celebrate Mom by sending her a bouquet to celebrate her day! 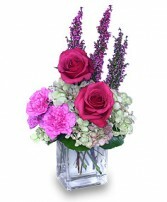 A arrangement of a hydrangea with roses, carnations, and heather are perfect to say "It's Your Day!" 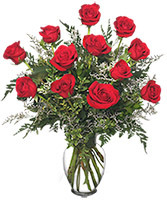 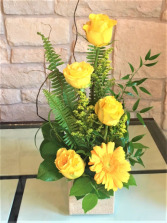 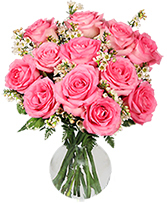 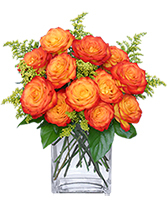 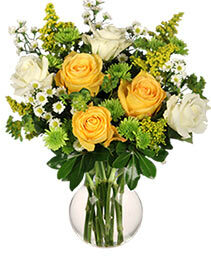 A half dozen of roses "Budafully" arranged with green poms, assorted greens and fillers in a clear vase.